At work, it’s been declared March Mustache Madness. This means that, due to peer pressure, I have cleared my chin of whiskers. I feel like a tool and probably look like one, but there are worse things. 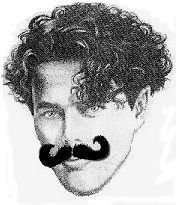 Moustache may be styled but without aids. The hairs are allowed to start growing from up to a maximum of 1.5 cm beyond the end of the upper lip. Slender with long tips, straight up or arching up. The hairs are only allowed to start growing up to the end of the upper lip. Slender, beginning from the middle of the upper lip with the hairs extremely long and pulled to the side. Tips may be lifted slightly. Small and bushy with tips arching up. 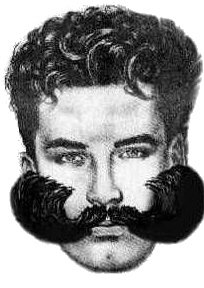 Big and bushy, beginning from the middle of the upper lip and pulled to the side. The hairs are allowed to start growing from up to a maximum of 1.5cm beyond the end of the upper lip. Facial Hair grown only on chin, upper and lower lip. Moustache long and slender. Hairs are allowed to start growing from up to maximum of 1.5 cm beyond the end of the upper lip. Beard small/pointed. 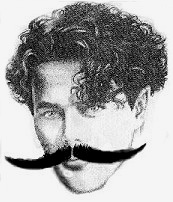 Hair to be grown only on cheeks and upper lip. Moustache integrated. The ends must point upwards and not be curled over. Chin shaved with moustache allowed to start to grow up to a maximum of 2 cm beyond and below the end of the upper lip. Tips long and pulled down.